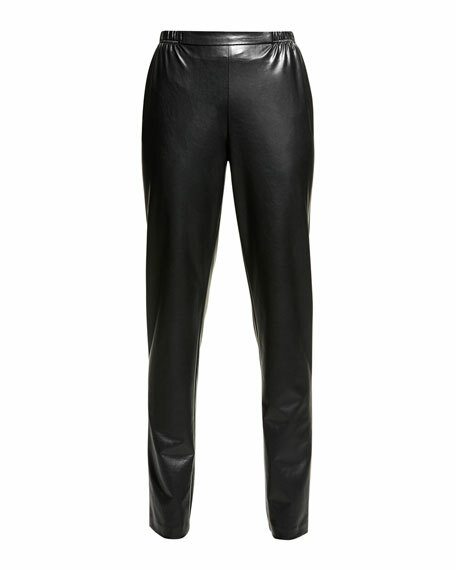 Caroline Rose faux-leather (polyester/spandex) pants. Elastic waistband with flat front panel. Straight legs taper at ankle; 13" leg opening. For in-store inquiries, use sku #2247736.